Rajasthan is the most famous tourist destination in India and extremely popular among world travelers. A vibrant land most synonymous with its colorfully dressed people with men in their turbans and women in their sarees, a trip to Rajasthan is a visual treat. Ruled by Rajput princes whose heroism and bravery are often romanticized in the folklores. It is a great tourist destination with stunning palaces, majestic forts and serene lakes which adds to the charming desert settings. When it comes to offering choices, Rajasthan can stun people with its variety and please even the most fussy traveler. Get a taste of the regal aura of this fabled land by traveling like a Maharaja on Royal Rajasthan on wheels which offers an elegant ride to the most fascinating destinations in Rajasthan. The journey is designed to give you a taste of royal living which you will notice as soon as you enter this luxury train. You will not only be impressed by the plush interiors which are designed keeping in mind the style and grandeur of royalties. A traditional welcome with tikka and garland awaits you at the railway station. A music band will give you a royal salute and you will be pampered throughout the journey. The train has total 13 coaches each named after a famous palace of Rajasthan and creates same cultural ethos in their interiors. There are also two restaurants for the delight of the visitors. The menu includes Thai, Chinese, Mexican and continental along with authentic Indian cuisine. 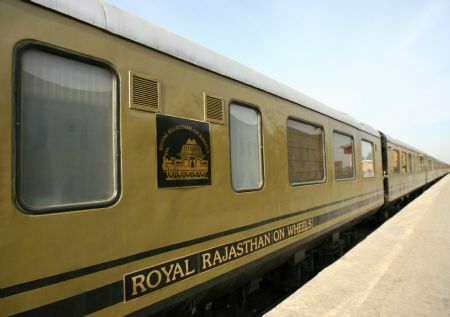 The luxury train of Royal Rajasthan on wheels is equipped with world-class amenities like lounge saloon, rejuvenation center and souvenir shop. You can enjoy yourselves at leisure and play games or just enjoy the panoramic view outside and savor each of them. The itinerary of the luxury train is tastefully created to provide an insightful and enjoyable tour experience. 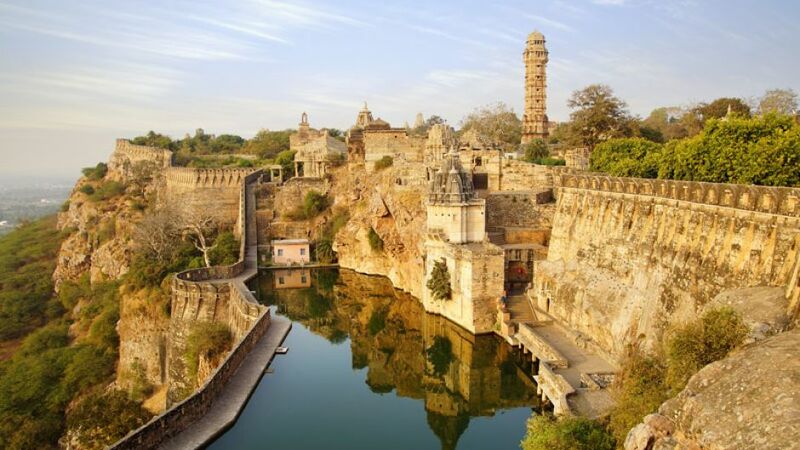 You explore not only the rich wildlife if the region but also marvel at the spectacular architecture of some of the most ancient temples and remarkable forts offering you the very best of Rajasthan. The train journey includes destinations like Jaipur, Jodhpur, Udaipur, Chittorgarh and Agra. Varanasi and Khajuraho has also been included in the itinerary recently. Khajuraho is the spectacular rock cut temples and also a UNESCO world heritage site white Varanasi is the spiritual center for Hindus and one of the oldest living city in the world. 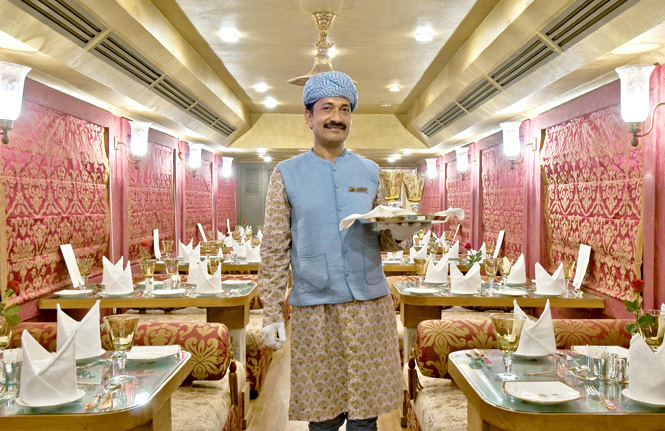 Luxury trains in India have come a long way after the introduction of first luxury train, Palace on wheels and 1982. 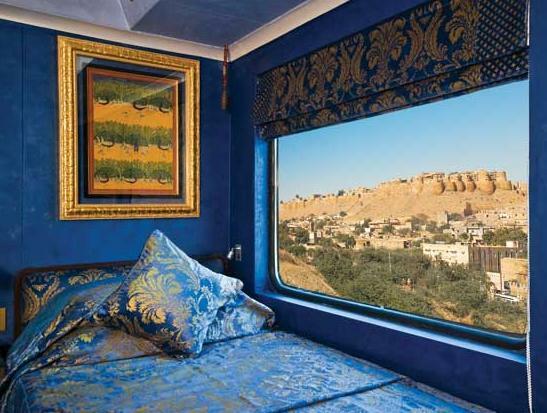 Royal Rajasthan on wheels recreates the romance and splendor of royalties of the bygone era and brings out the colors of amazing land of Rajasthan. A team of professionals who love to travel. GeTS Holidays, a mid sized Indian in-bound travel company highly experienced in providing foreign guests with efficient and personalized services at best value. We are 20 years young!